Birthdays and weddings are similar in some ways. Both can be as DIY or as outsourced as you like. That means you can end up saving a lot of money, but doing a fair bit of work or you could end up blowing the budget completely without even realising it. 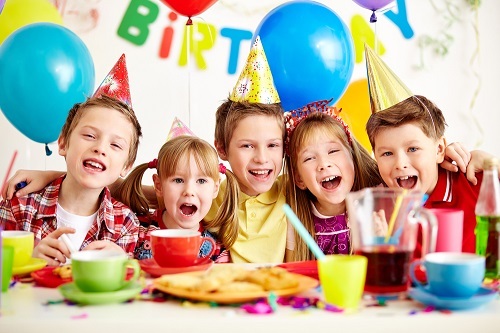 When planning your child’s birthday party, you’re probably looking for something in the middle. You don’t want to DIY absolutely everything for sanity’s sake, but you don’t want to spend an arm and a leg on one of many birthday parties either. We’ve got the best tricks to make sure you have the most awesome party for your son or daughter without blowing the budget. Postage and printing is so expensive these days, meaning you can save a lot of money for other party items by keeping the invitations digital. Your child can even help you make them online with free image editing software and it makes it easier for you to keep track of RSVPs as well. That’s the biggest key to not blowing your budget. Small things add up into a large amount. Avoid getting into party traps by going over the top with fancy candles and décor. In the end, your child is likely to only remember how much fun they had, not how fancy their candles were. Initially, your child will probably want to invite the whole class. Soon they’ll realise that’s not really necessary, or inexpensive. Keep the invitations to your child’s closest friends, and if you can’t afford it, don’t invite the siblings of your child’s friends. A flashy cake can cost hundreds of dollars. That’s hundreds of dollars that will be devoured in minutes, leaving a trail of crumbs and leftovers. Simple cakes are far more effective. Do it yourself or opt for a budget friendly ice-cream cake! You might think this would cost more, but when you have your party at a children’s play centre, you’re far more able to keep track of your spending as almost everything is budgeted for, per guest. It also means you don’t need to decorate a whole house, buy and cook food yourself, or buy or hire expensive equipment like jumping castles to keep the kids entertained. It can actually end up being far easier on your budget to have your child’s birthday party outside of the home. Are you ready to make the right decision and book your birthday party away from home? We are one of Sydney’s most fun indoor play centres and we can give you and your kids a party to remember. Call The Play Cave on 02 9199-4673 or fill in the enquiry form online and our staff will contact you directly. We also have a page of frequently asked questions you can check out.